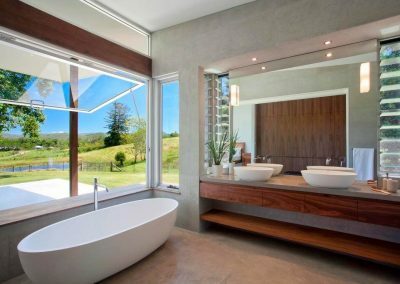 This award winning project located on the outskirts of Eumundi in Queensland’s Sunshine Coast hinterland has been designed by Gerard Smith (Winner of the 2012 BDA Design Excellence Award). Gerard has transformed what was originally a tired run-down three bedroom block home, into a breath-taking masterpiece that makes the most of its natural, rural surroundings. The house has an impressive open plan design that seamlessly connects with the stunning landscape. In addition, new living spaces have been created to open up to natural light and fresh air through the use of solar passive design principles. 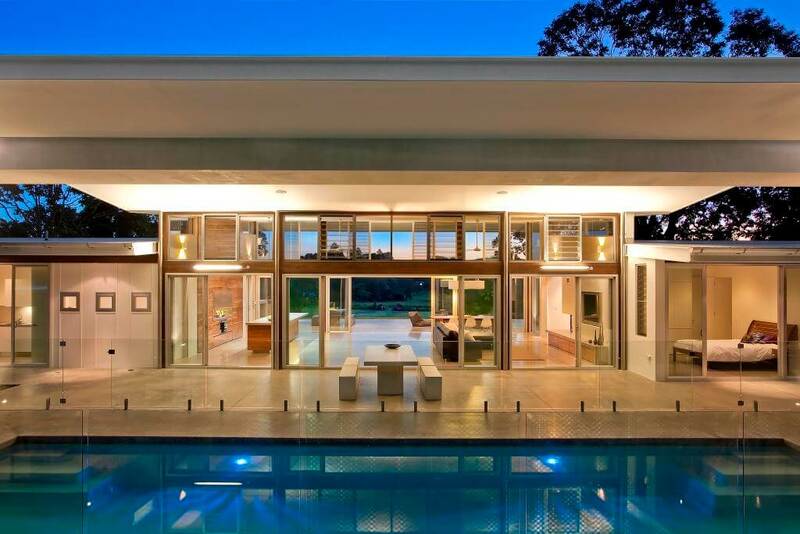 There are large expanses of glazing throughout the house to enable panoramic views of the surrounding bushland. Altair Louvre Windows have been incorporated above the sliding doors in the living room and strategically placed in other rooms of the house to take advantage of fresh breezes to keep the house at a comfortable temperature. 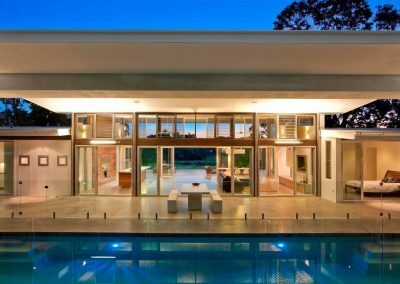 The open plan design extends out to a beautiful grand alfresco area with an elevated external roof structure which also allows high volumes of light and cross ventilation to enter the home. This design brings about a feeling of spaciousness for building occupants to enjoy an uninterrupted connection with the natural beauty of the outdoor environment. 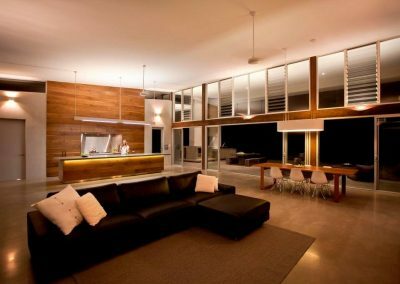 Using natural materials to create an impressive interior, the house stylishly integrates with the lush, green landscape. The warmth and texture of the environment reflects the timber joinery used in the house and works well against the coolness of the polished concrete flooring. The owners have named the development ‘Satori’ in recognition of its spiritual significance as a zone of enlightenment in the quest to understand the nature of existence. Four Regional, State and National Category Awards for Residential Alternations and Additions. 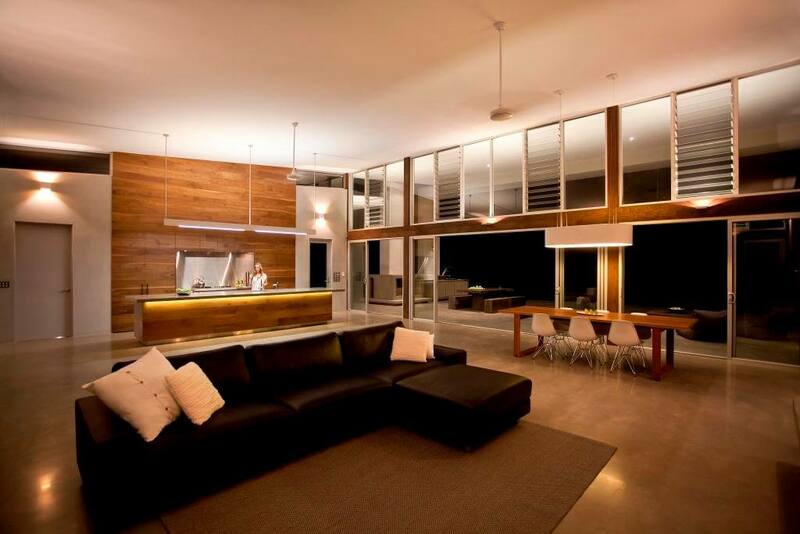 One State and one National Category Award for Residential Interiors. 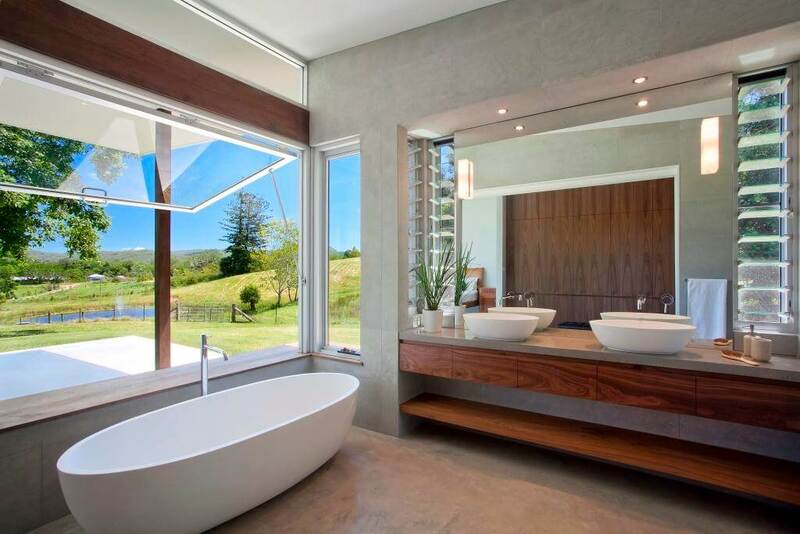 Two State Awards for Kitchens and Bathrooms. One State Design Excellence Award. Gerard Smith won the Queensland’s Premier Award for Satori in 2011.